Three different shaped hennins, with three different veil drapes. 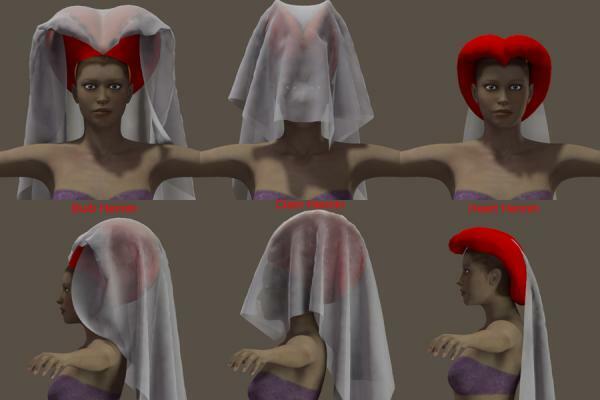 Smart-prop Poser items, fitted to Victoria 4, with dynamic cloth veils. Obj files, and texture templates also included. Historical note: Women during this time period shaved the front part of their hair to create a high forehead appearance. Using a body texture with a bald head will give the closest correct look for your image. I love your historical headgear. Thank you very much, Rosemary.